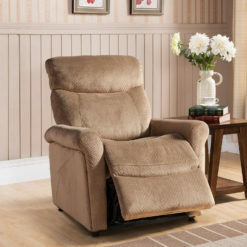 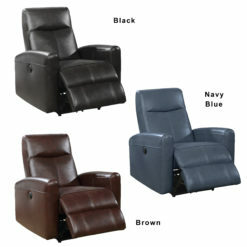 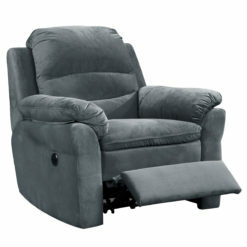 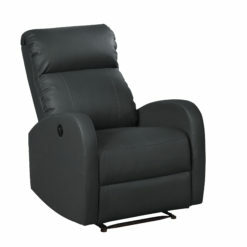 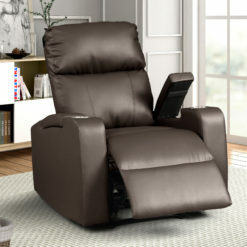 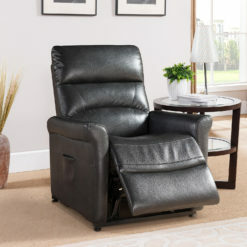 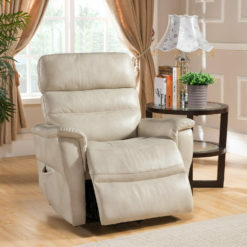 Indulge in relaxation and style with this brown traditional leather pushback recliner. 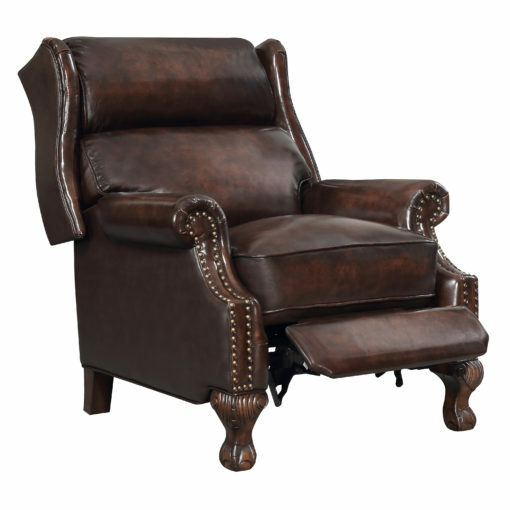 This luxurious armchair features durable wax and oilskin treated genuine leather as well as carefully crafted accented antique nail heads for that sought after traditional style. 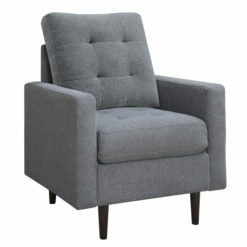 From the plush cushioning to the decorative carved feet, this elegant chair has spared no expensive in sheer excellent. 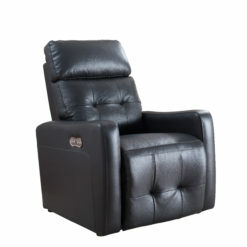 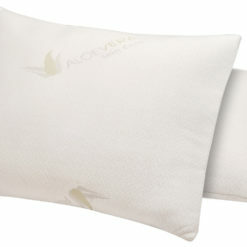 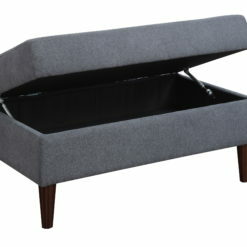 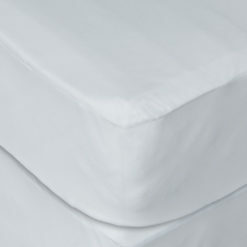 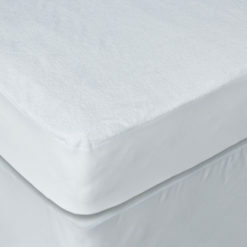 The combination of durable construction and style makes it the perfect additional to your home or office.